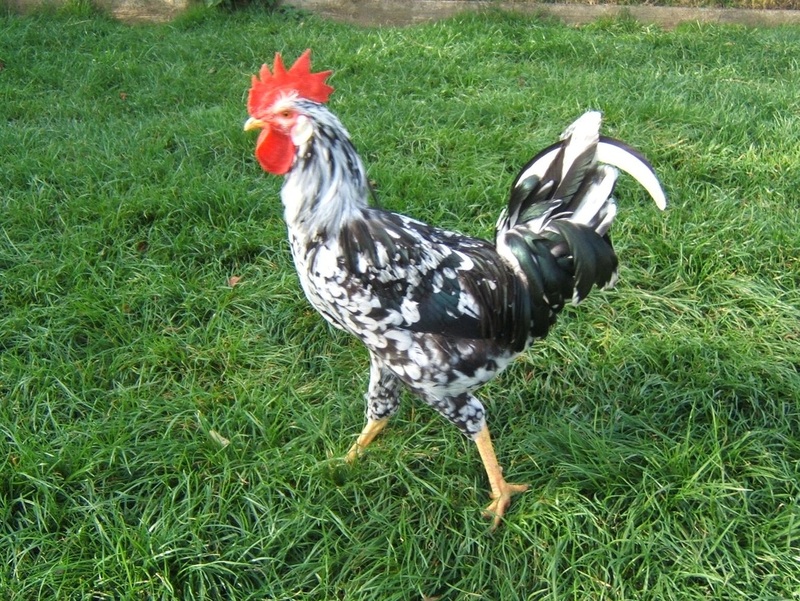 The Exchequer Leghorn is not only a beautiful bird but a prolific layer of pure white eggs. They are great forages, always on the go searching for food.They have a reputation of being 'flighty' but I haven't found this to be the case. 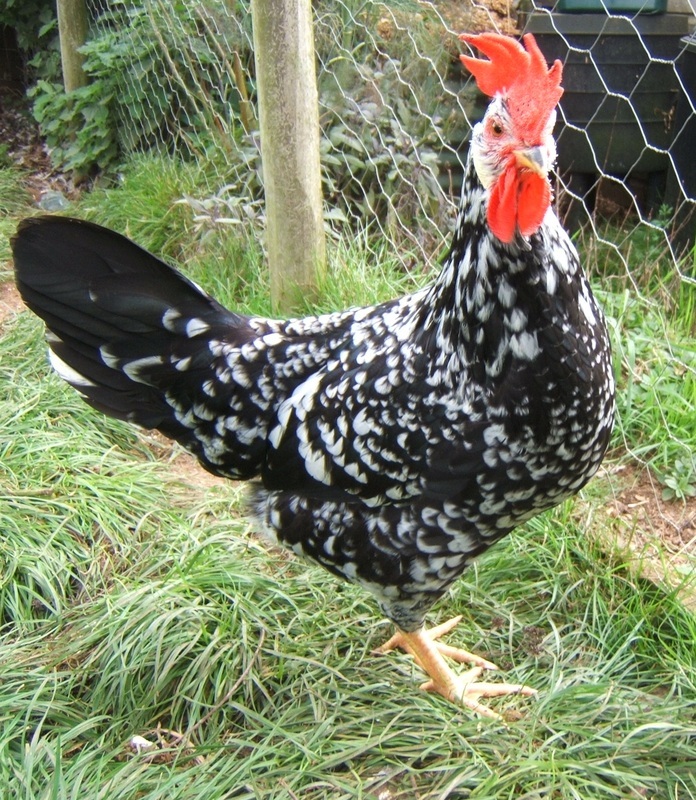 Capable of flight - yes as they are a light breed but highly strung or easily spooked - no. They are amongst the most inquisitive and friendly birds I keep, always first to run towards you for the chance of a treat, always under your feet when you are cleaning out the house or working close by. I have found fertility and hatch rate to be very close to 100%. The chicks are strong, healthy and active. 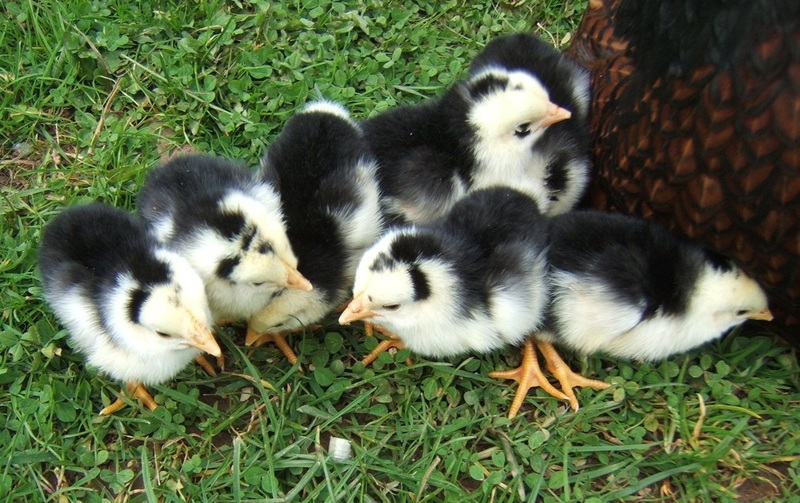 On hatching the chicks are black and white. The mottled feathers develop gradually as they grow first on the breast and lastly on their backs. They are quick to feather and the sexes can be identified very early on. 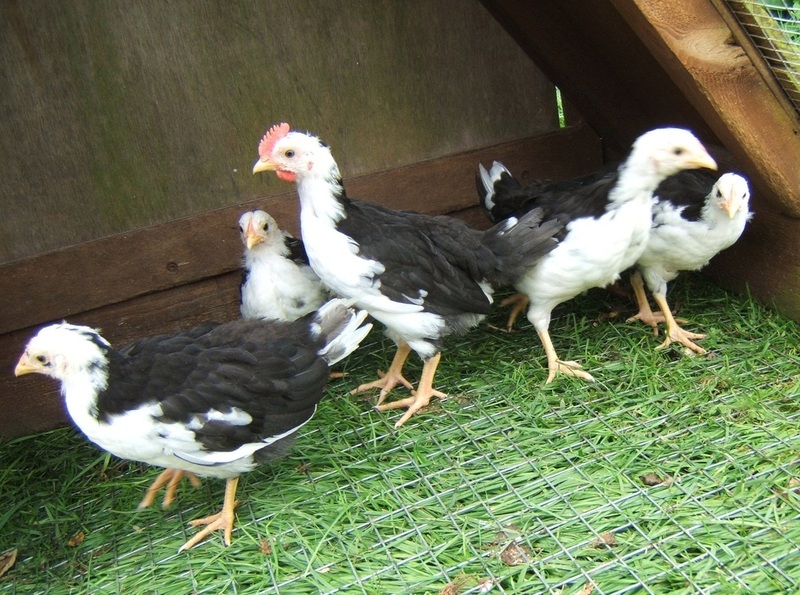 As the pullets get close to lay - at approx 18 - 20 weeks their comb will start to flop to one side. The cockerels comb should always remain upright. 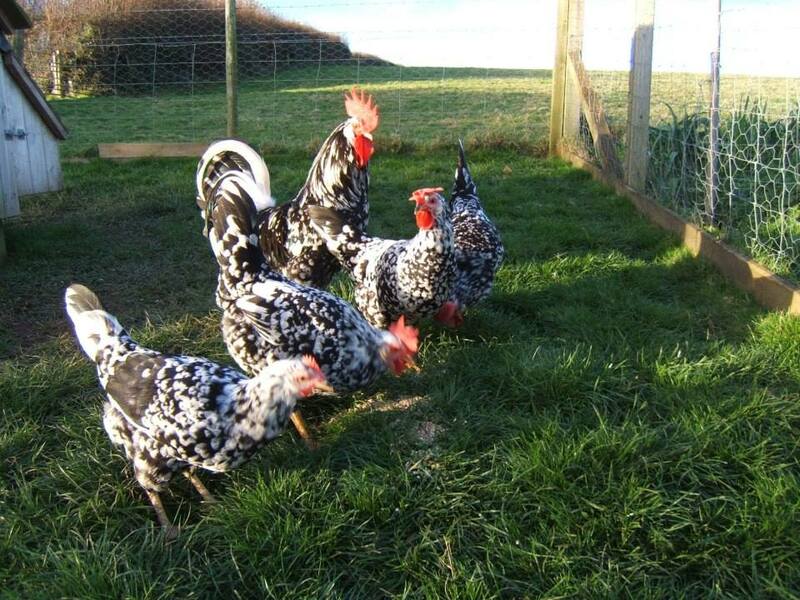 Kept as a single breed flock I find them quite stunning, however they are just as beautiful in a mixed flock.Given the chance, they will forage for a high percentage of their feed and will reward you with plenty of eggs throughout the year.